Spot gold, which fell about one per cent to as low as$1,324.04, was down 0.6 per cent to $1,328.90 an ounce by 0354 GMT. 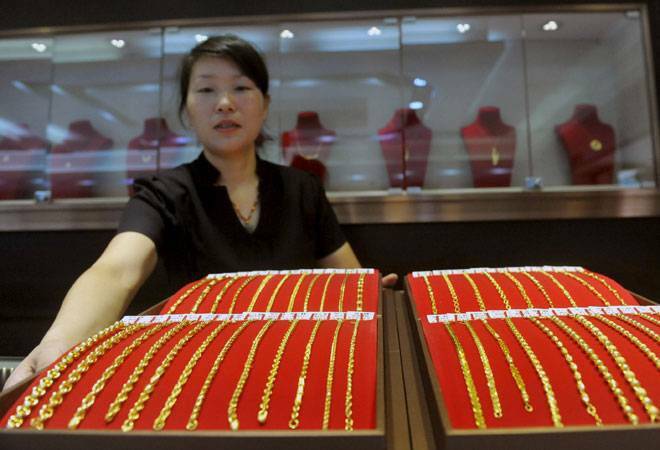 Bullion fell over 2 per cent last week, its first weekly decline in seven weeks. Gold fell one per cent before paring losses on Monday as the demand for safe-haven assets waned with a coup attempt in Turkey failing to deter risk sentiments. The US dollar gained on the yen in Asia on Monday as investors unwound safe-haven trades in the wake of the attempted coup in Turkey, while better US economic news and the promise of central bank stimulus lent support to equities. Turkey widened a crackdown on suspected supporters of the failed military coup, taking the number of people rounded up in the armed forces and judiciary to 6,000, and the government said it was in control of the country and economy. US gold was up 0.1 per cent to $1,329.20 an ounce. "Gold prices are feeling some kind of pressure because of the increasing easing of risk aversion," said Mark To, head of research at Hong Kong's Wing Fung Financial Group. "People have formed expectations that central banks worldwide have to include more stimulus packages in their monetary policies, leading to risk asset appreciation." Spot gold is expected to fall to $1,313 per ounce, as suggested by two sets of Fibonacci retracement analysis, Reuters technical analyst Wang Tao said on Monday. As gold's safe-haven appeal waned, speculators cut their record bullish bets for the first time in five weeks, US Commodity Futures Trading Commission (CFTC) data showed. Adding further pressure on the bullion was positive US retail sales data, which rose more than expected in June. Meanwhile, St. Louis Fed President James Bullard said on Friday there are "upside" risks to his view that the US central bank should raise interest rates just once this year and remain on hold in 2017 and 2018. "We continue to see good support for gold toward $1,325 as participants still look to play on the long side," MKS PAMP trader Sam Laughlin said in a note. Among other precious metals, spot silver was down 1 per cent at $19.99 an ounce. Platinum was up 0.1 per cent to $1,087, while palladium was down 0.6 per cent to $642.40, after hitting an over 8-month high in the previous session.